Teaching Artist Handbook is based on the premise that teaching artists have the unique ability to engage students as fellow artists. In their schools and communities, teaching artists put high quality art-making at the center of their practice and open doors to powerful learning across disciplines. This book is a collection of essays, stories, lists, examples, dialogues, and ideas, all offered with the aim of helping artists create and implement effective teaching based on their own expertise and strengths. The Handbook addresses three core questions: “What will I teach?” “How will I teach it?” and “How will I know if my teaching is working?” It also recognizes that teaching is a dynamic process that requires critical reflection and thoughtful adjustment in order to foster a supportive artistic environment. Instead of offering rigid formulas, this book is centered on practice—the actual doing and making of teaching artist work. Experience-based and full of heart, the Teaching Artist Handbook will encourage artists of every experience level to create an original and innovative practice that inspires students and the artist. 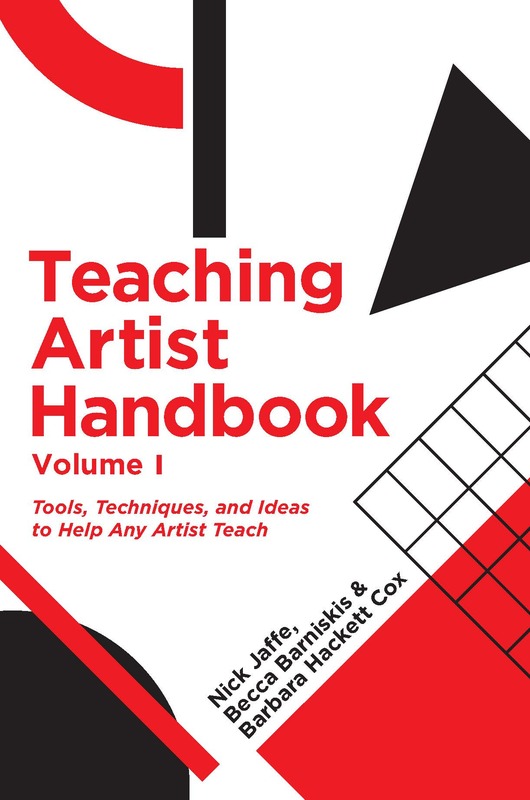 "The Teaching Artist Handbook tackles a difficult question for which there is no single answer: How does one teach art? Written by teaching artists for teaching artists, the book addresses the problem of how to teach in a field in which methods of instruction are ambiguous and challenging to establish and in which effectiveness is often challenging to evaluate." "I love that they affirm that there is no one right way to be a teaching artist, to teach your art form(s). . . . I recommend the Handbook to any artist who ever wanted to teach anything."